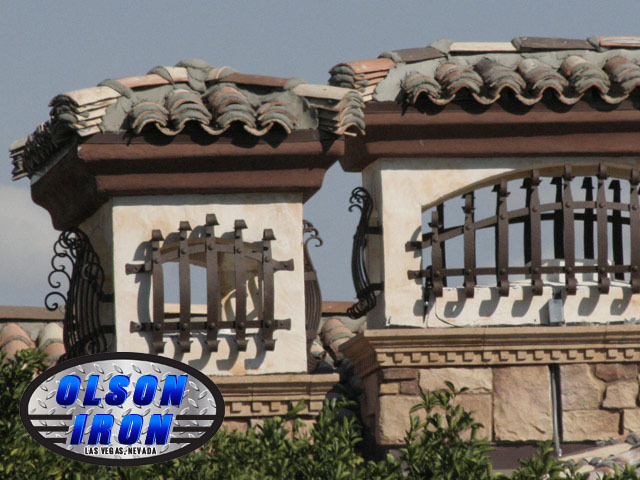 your castle and your investment. 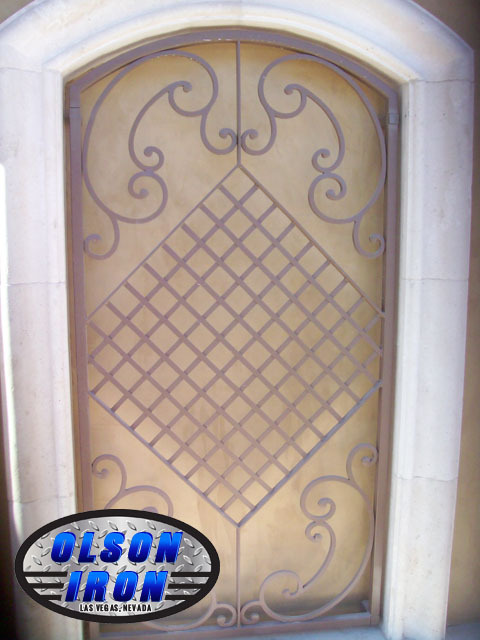 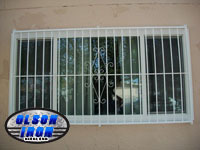 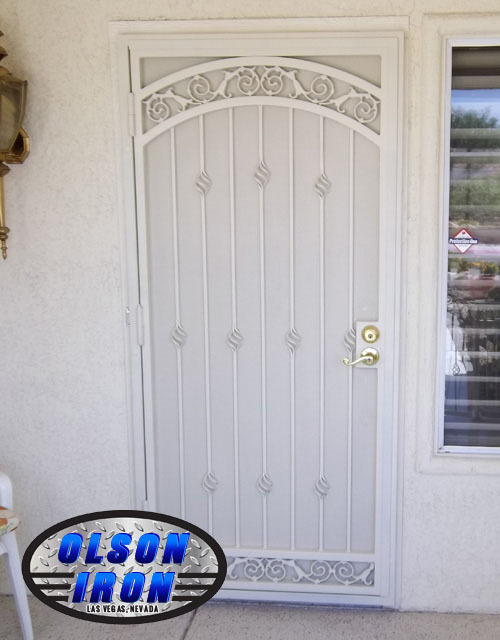 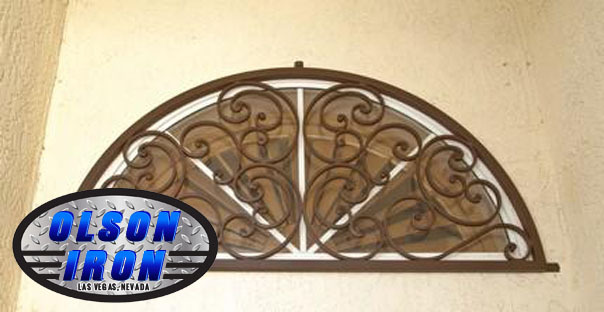 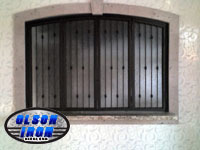 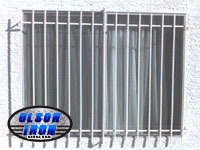 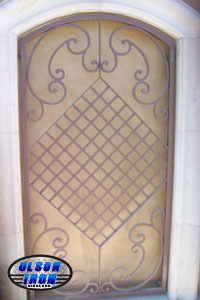 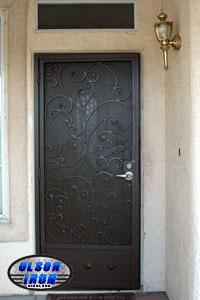 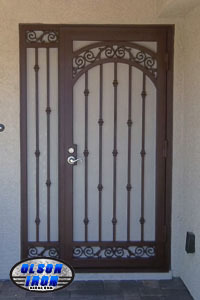 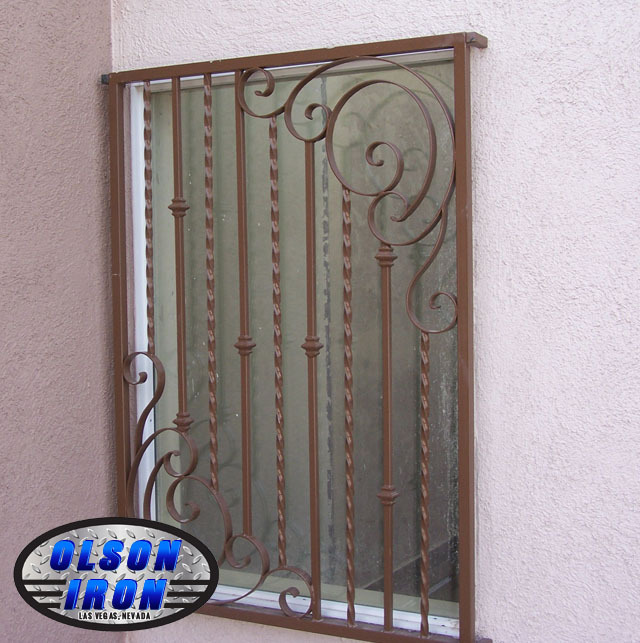 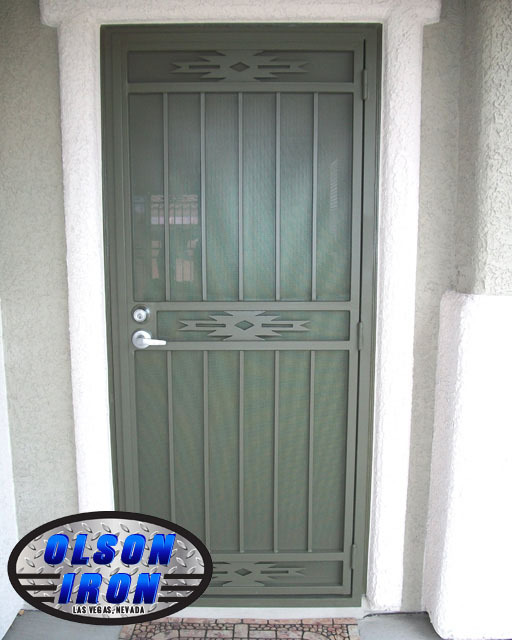 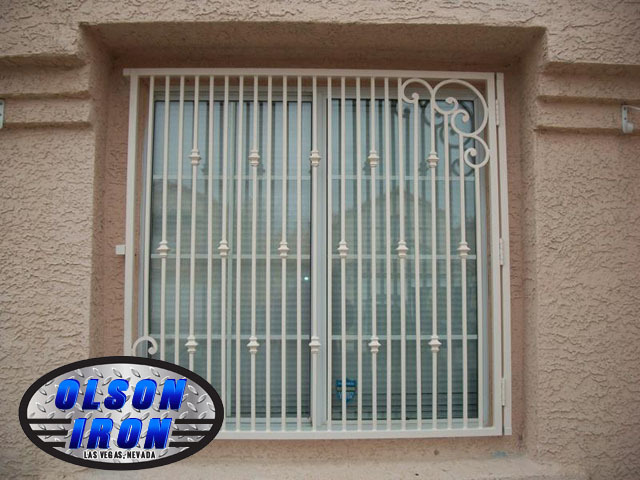 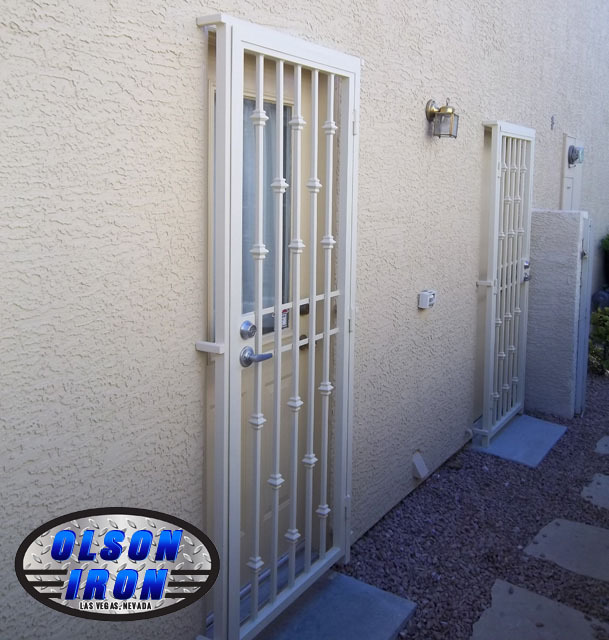 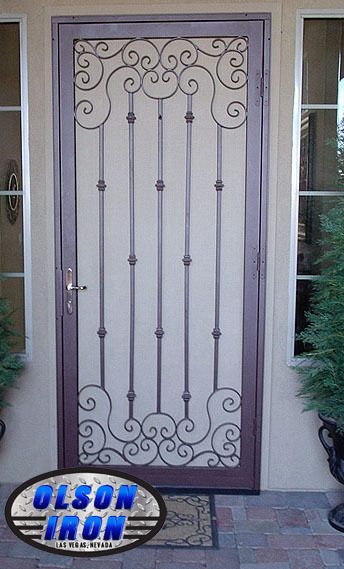 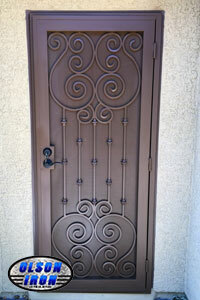 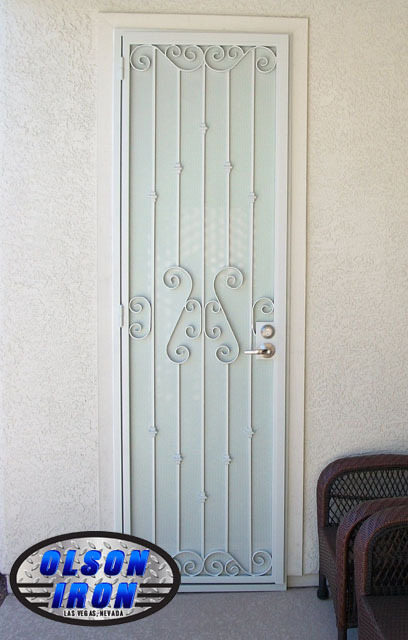 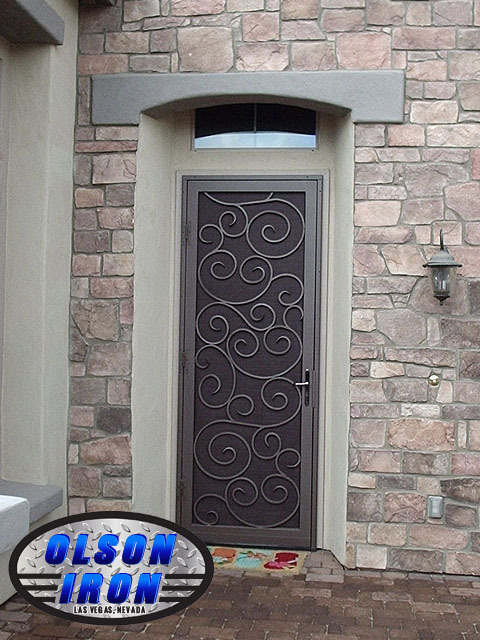 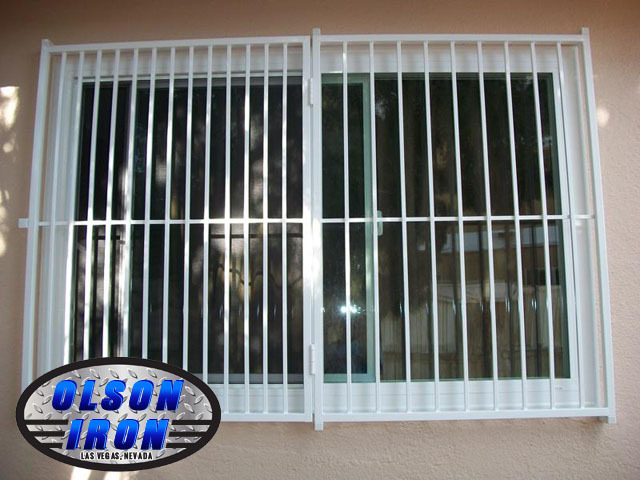 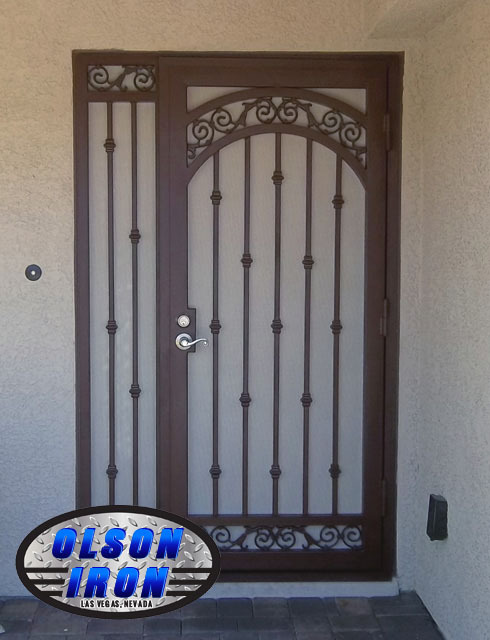 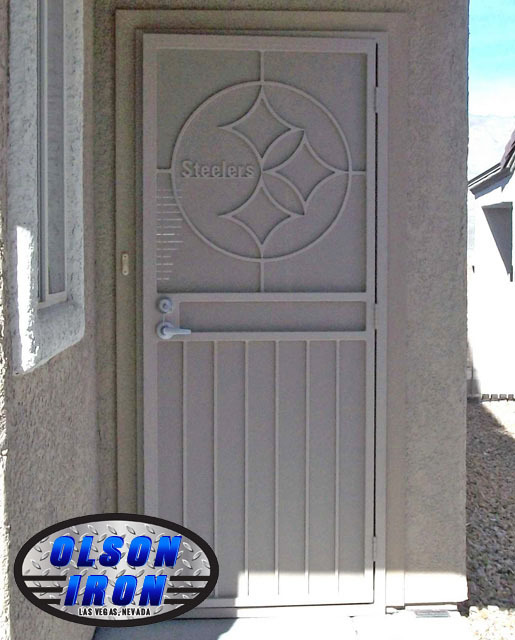 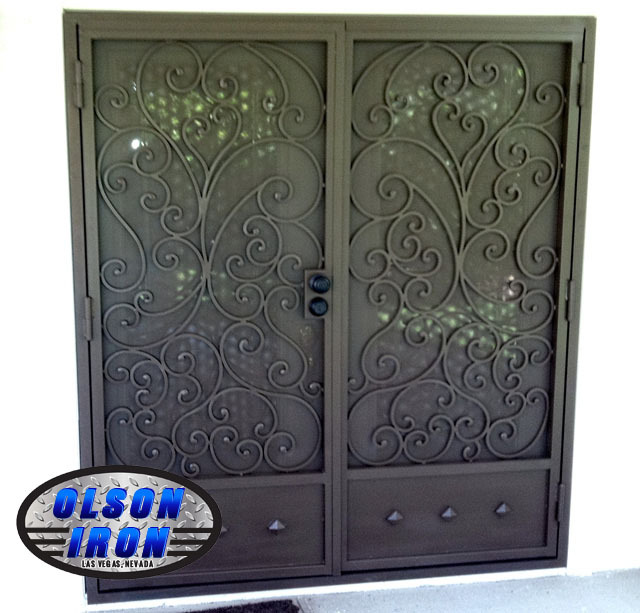 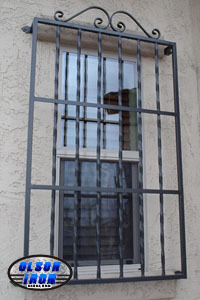 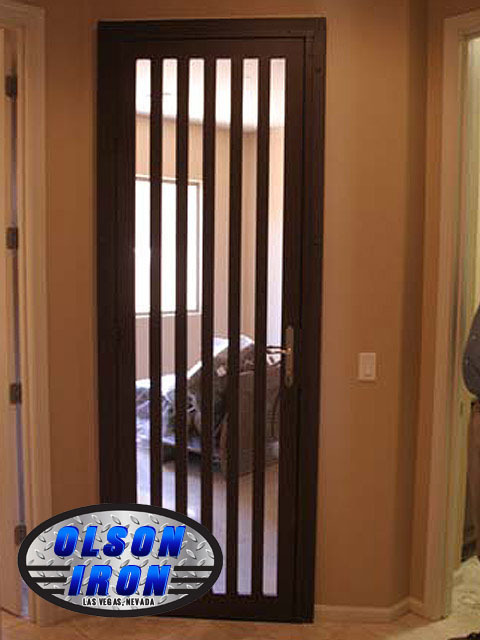 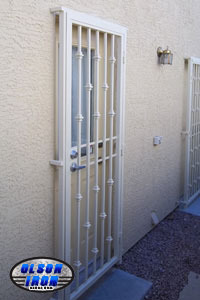 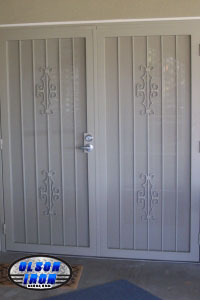 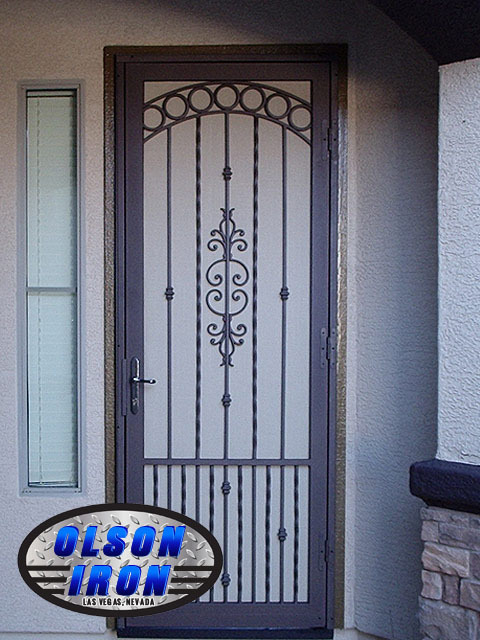 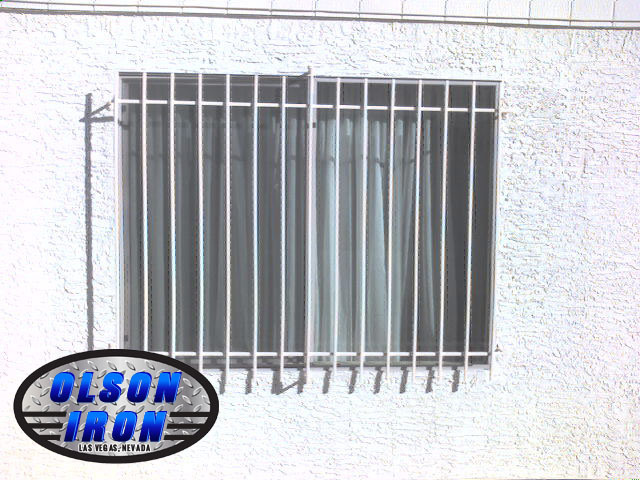 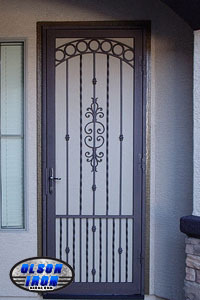 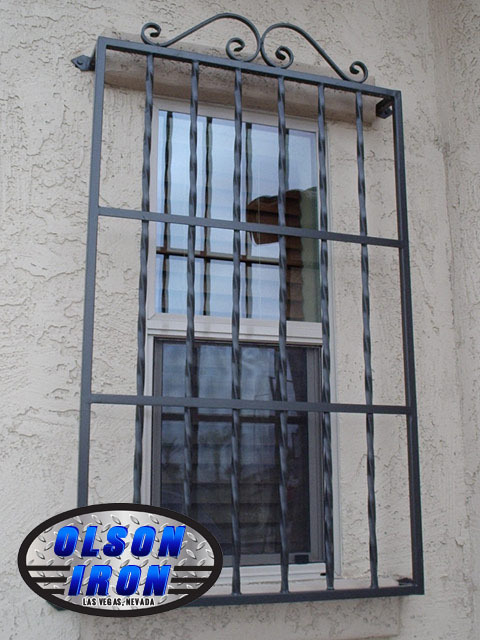 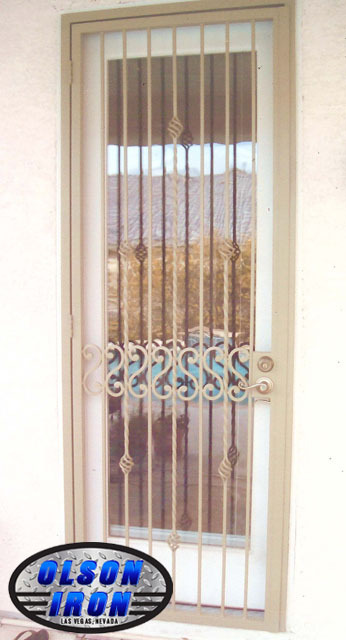 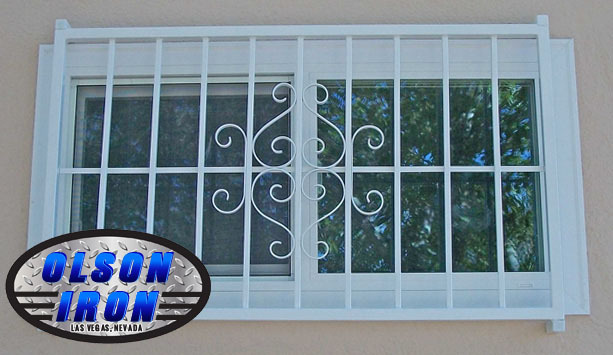 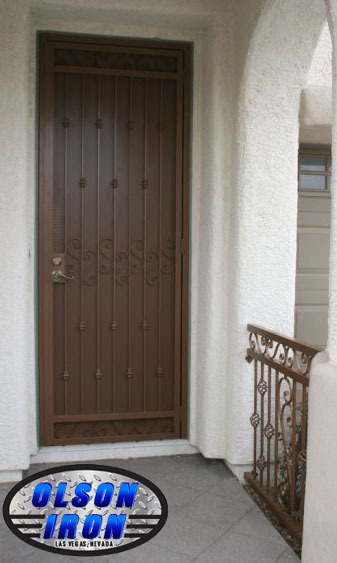 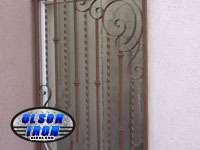 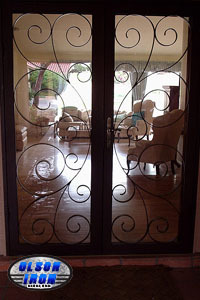 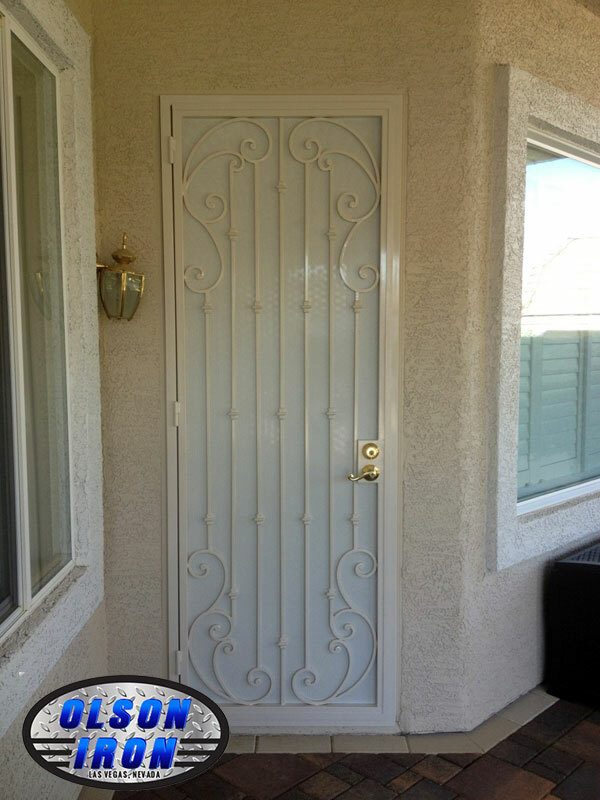 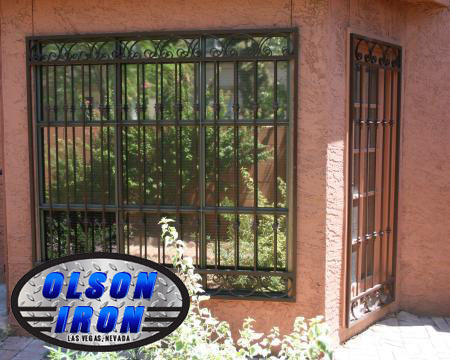 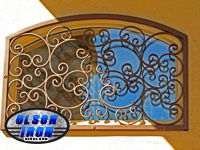 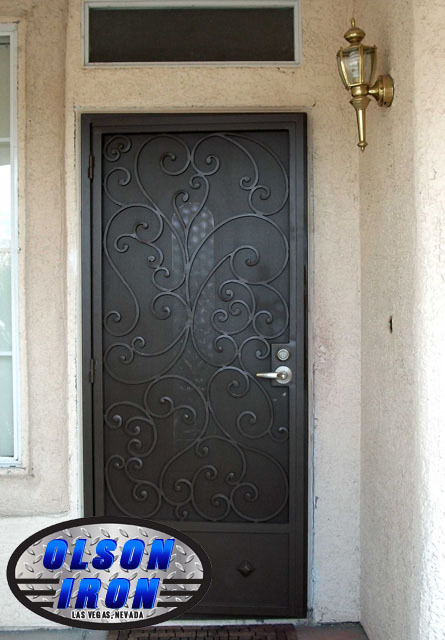 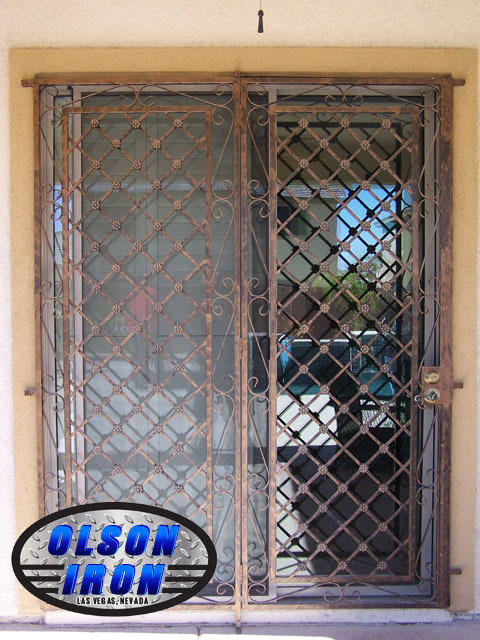 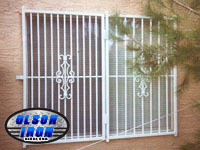 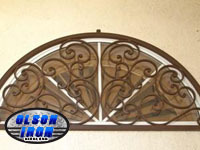 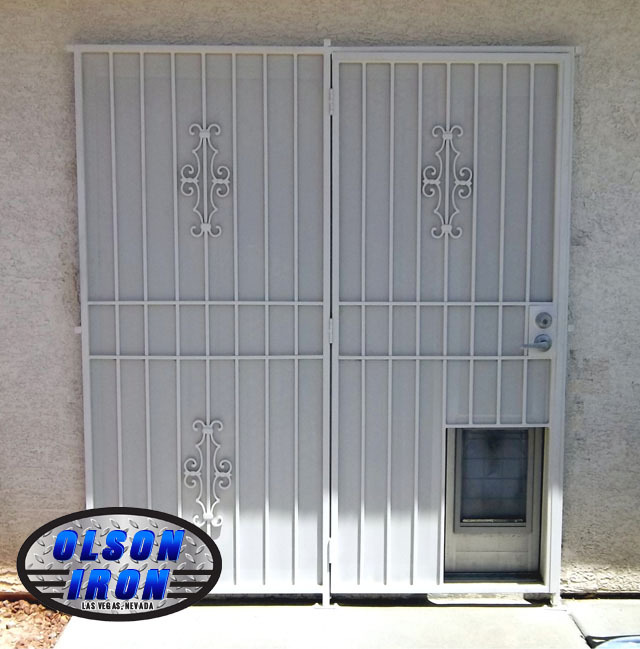 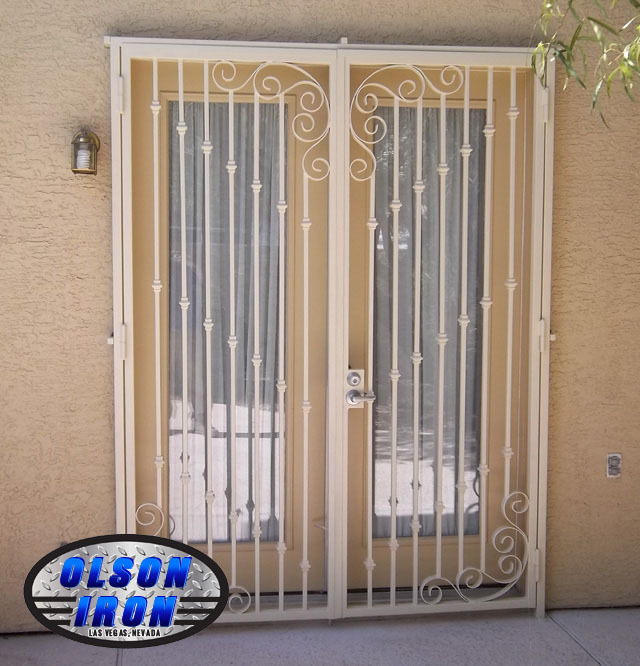 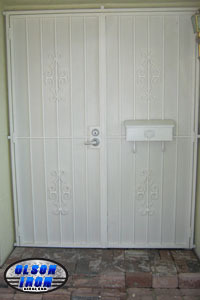 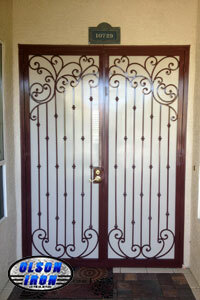 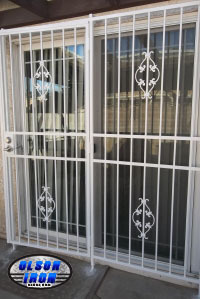 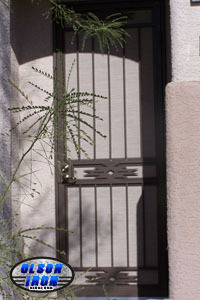 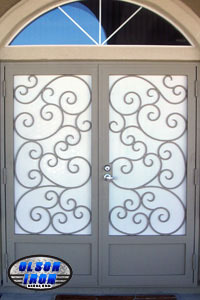 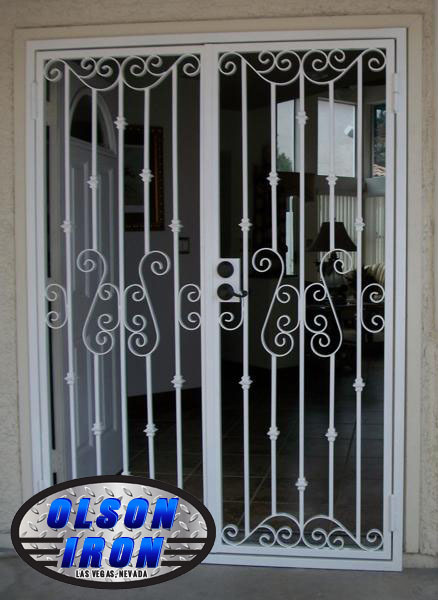 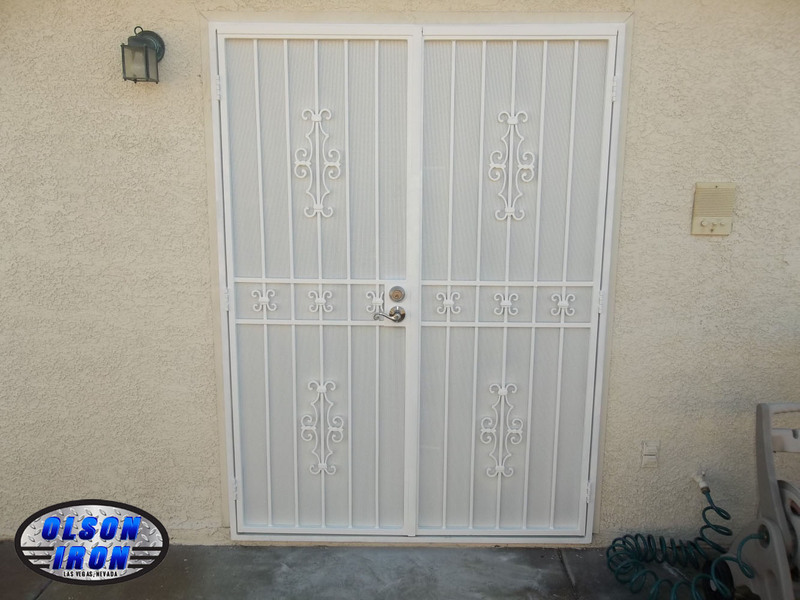 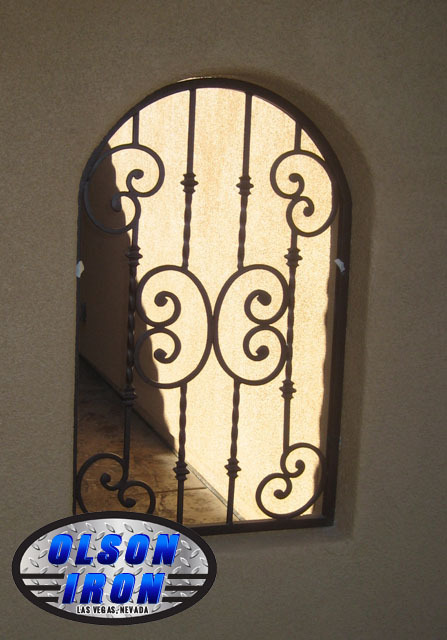 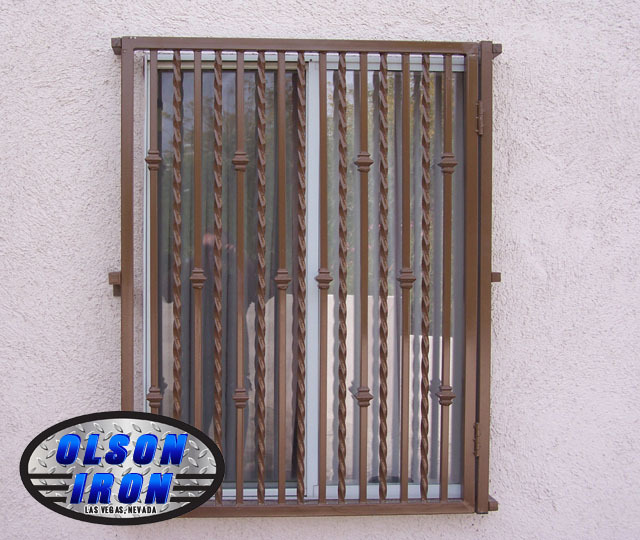 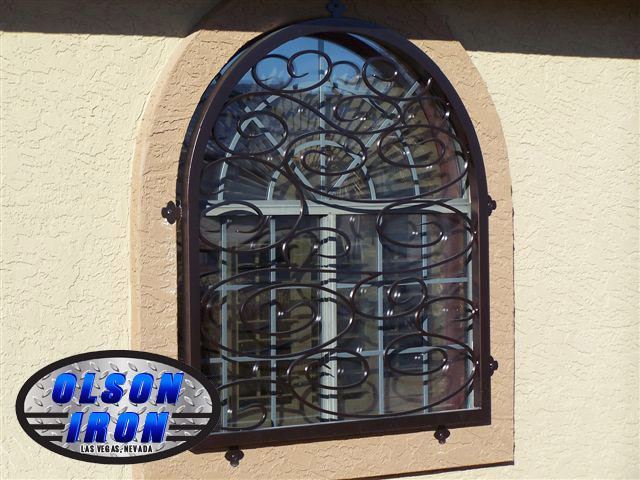 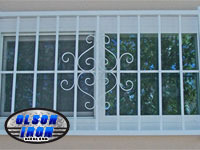 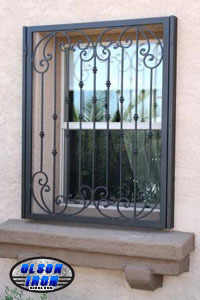 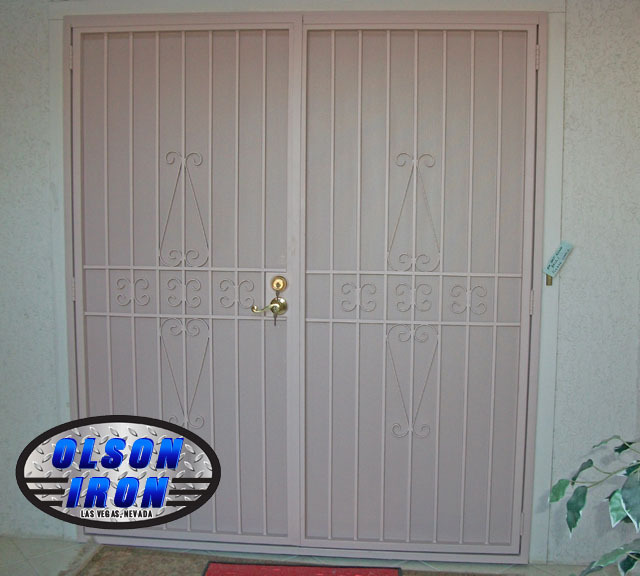 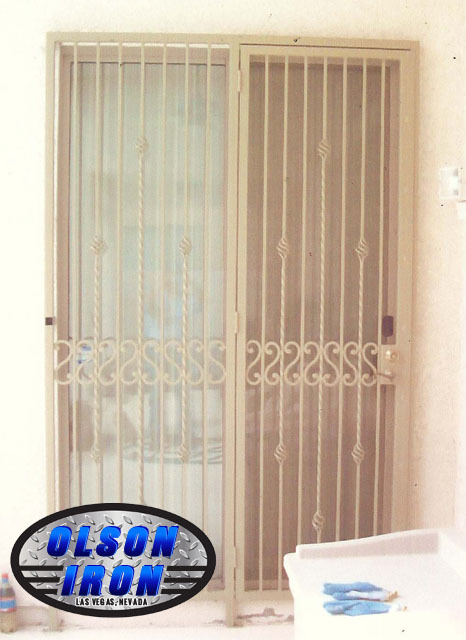 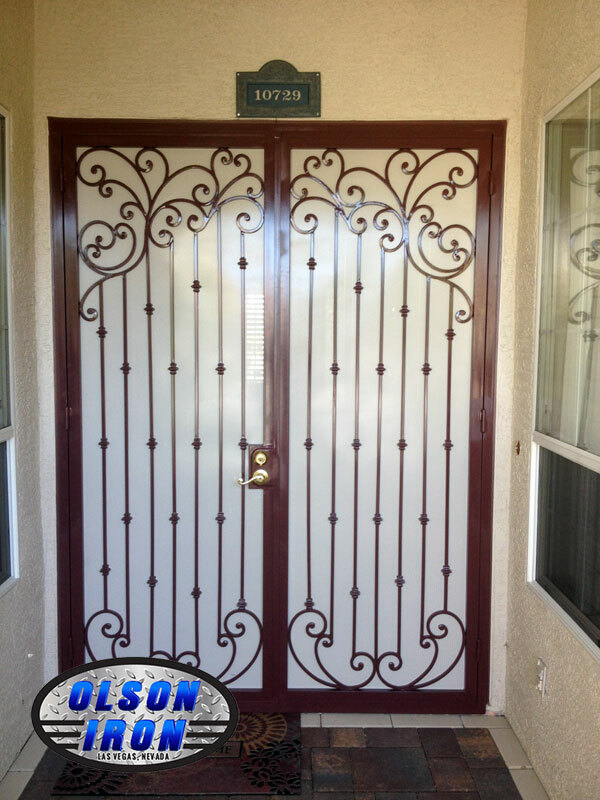 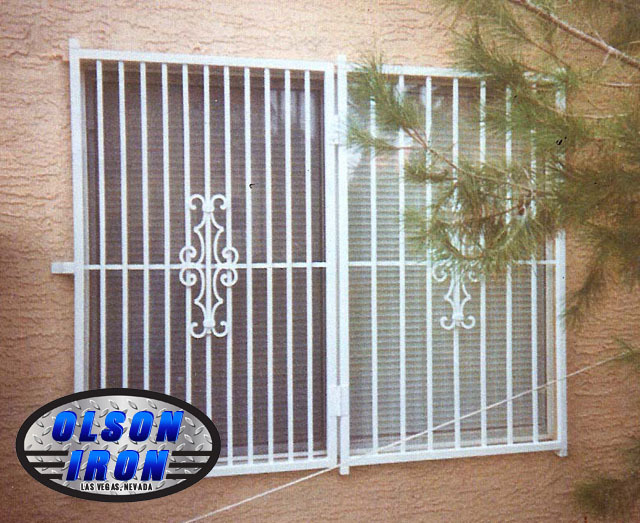 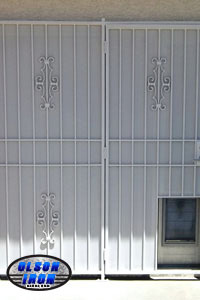 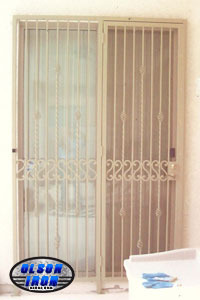 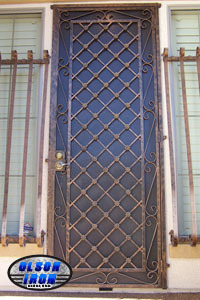 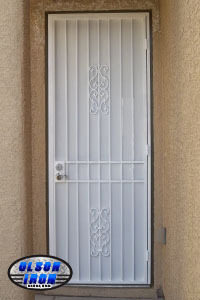 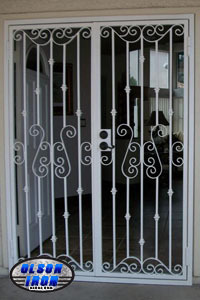 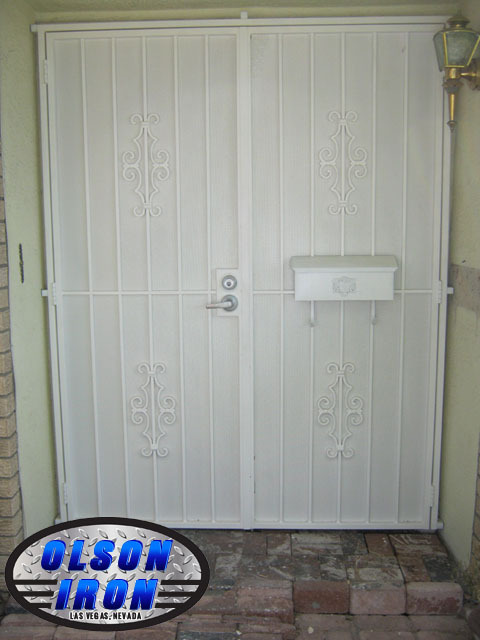 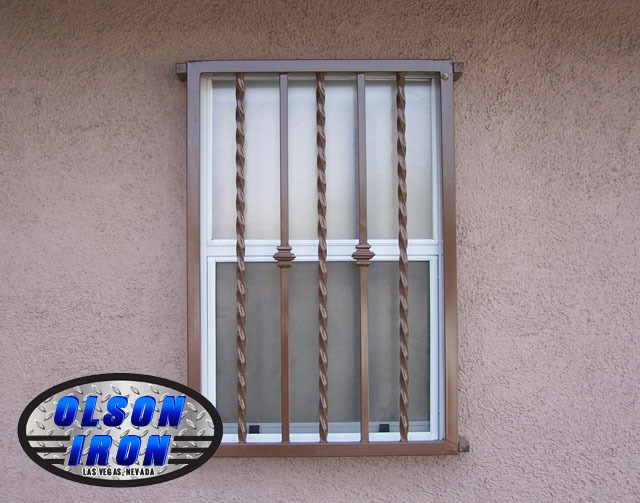 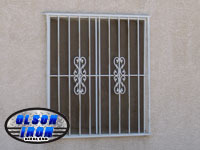 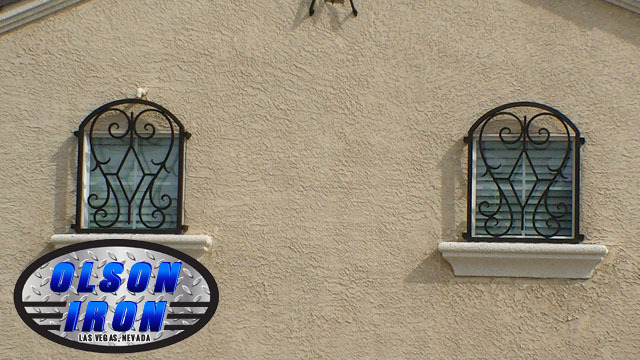 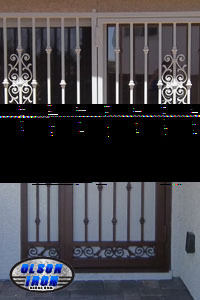 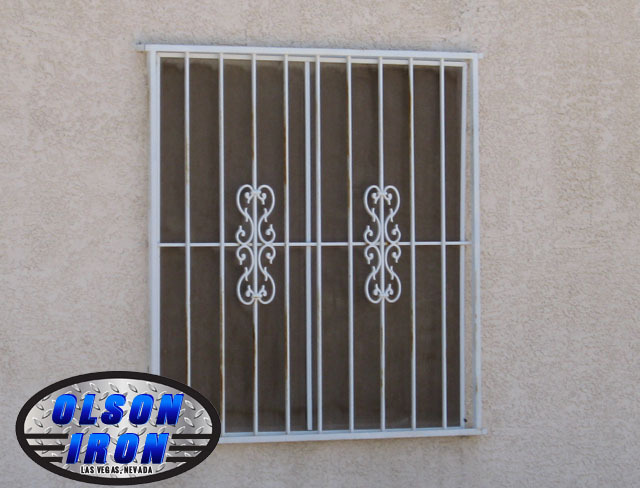 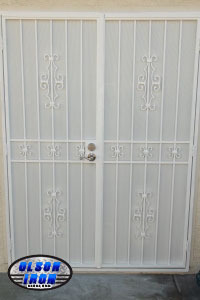 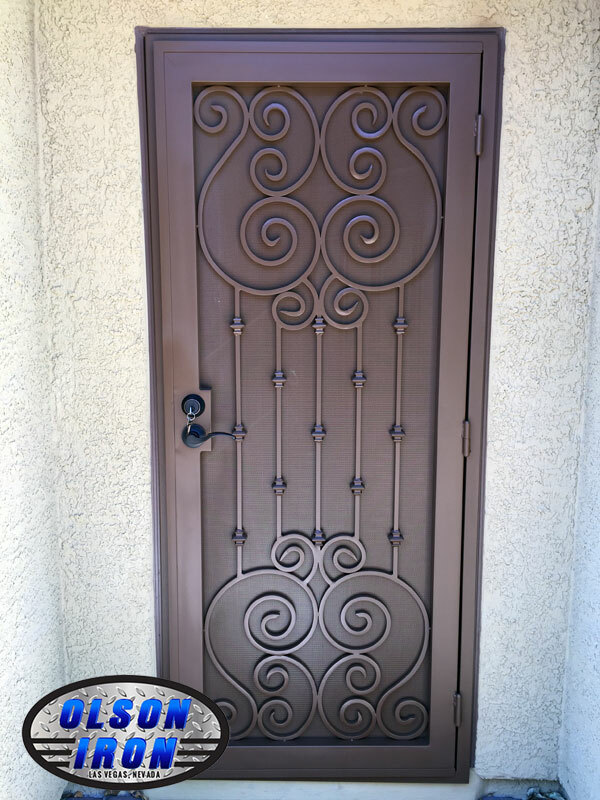 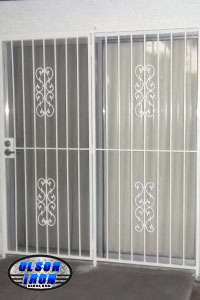 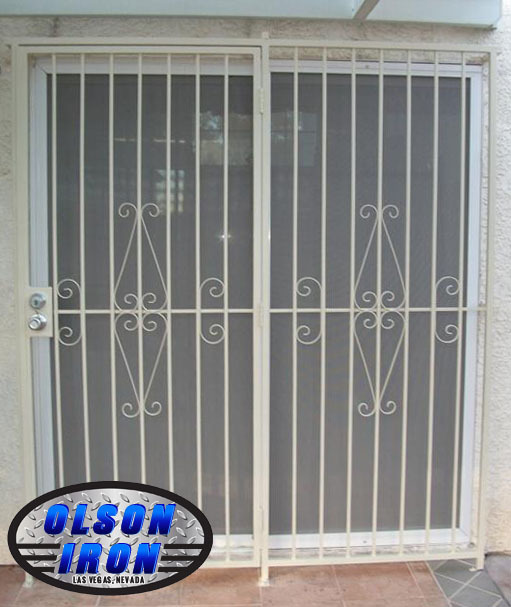 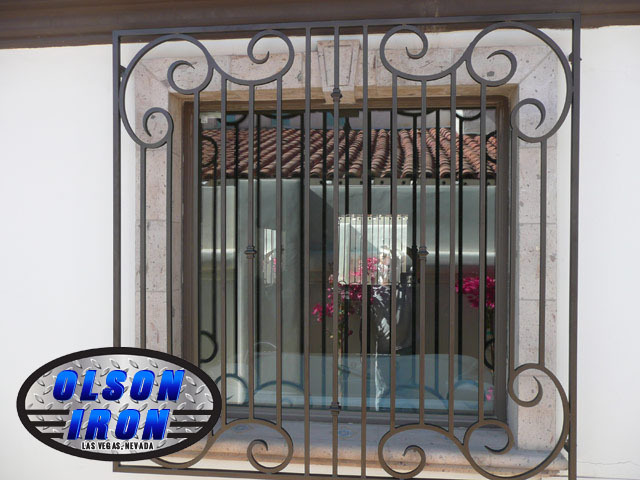 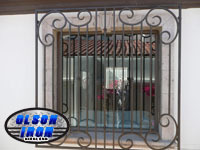 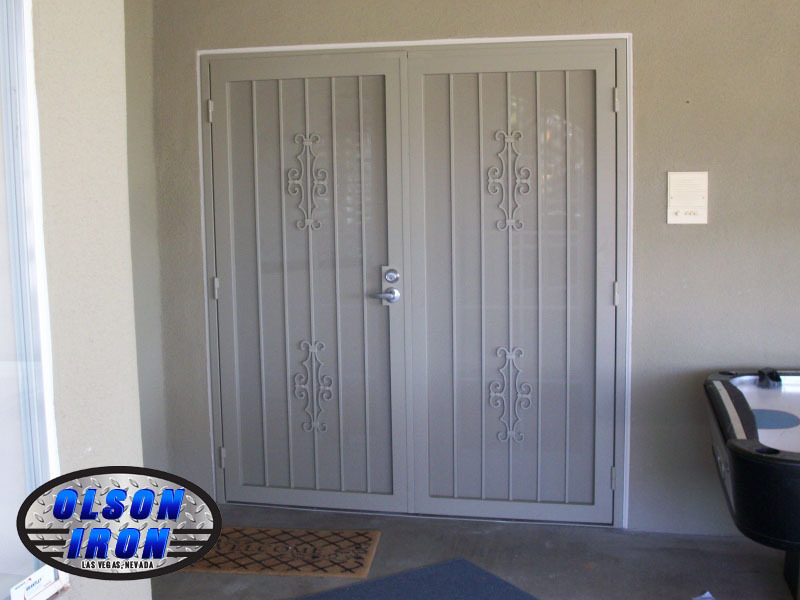 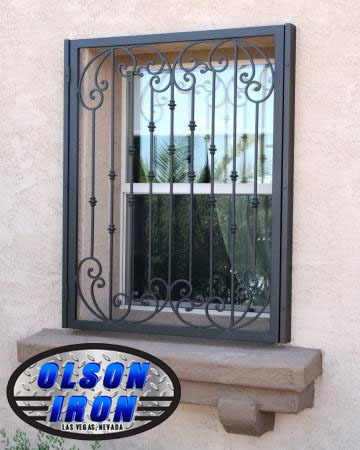 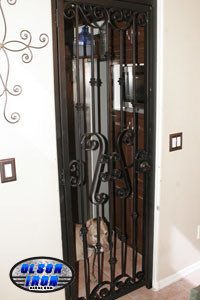 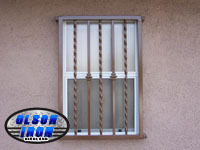 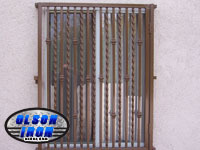 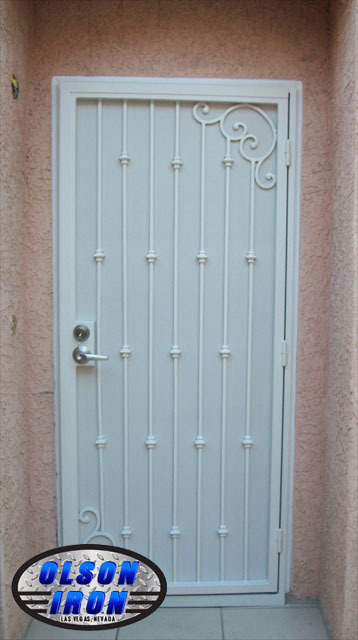 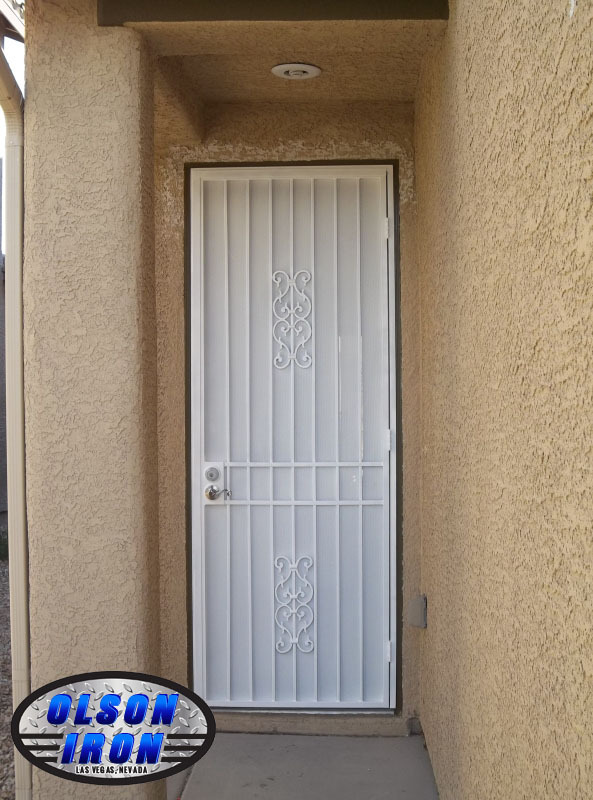 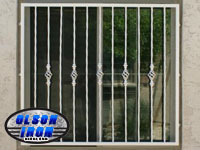 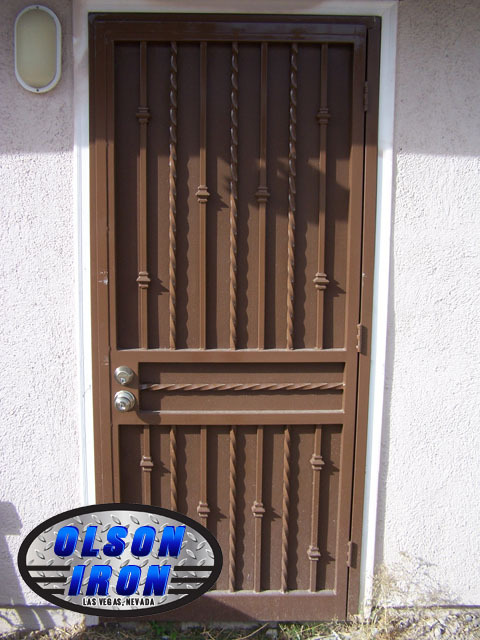 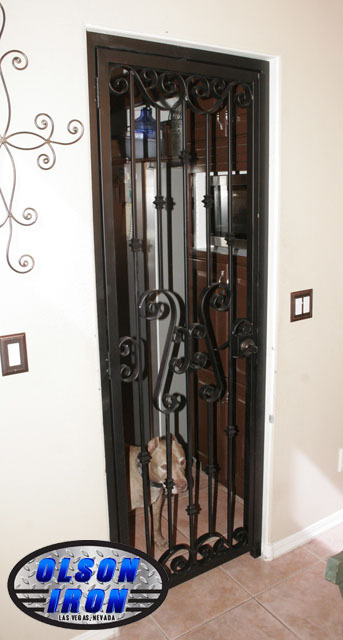 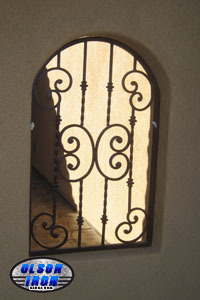 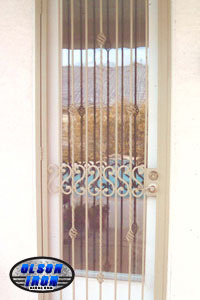 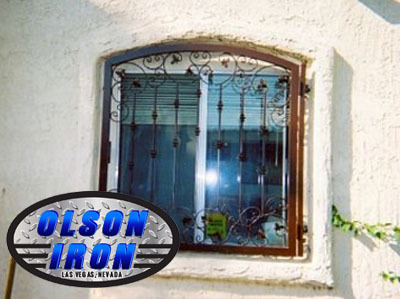 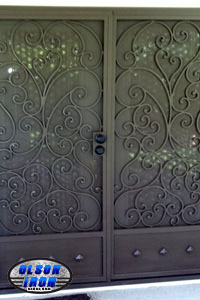 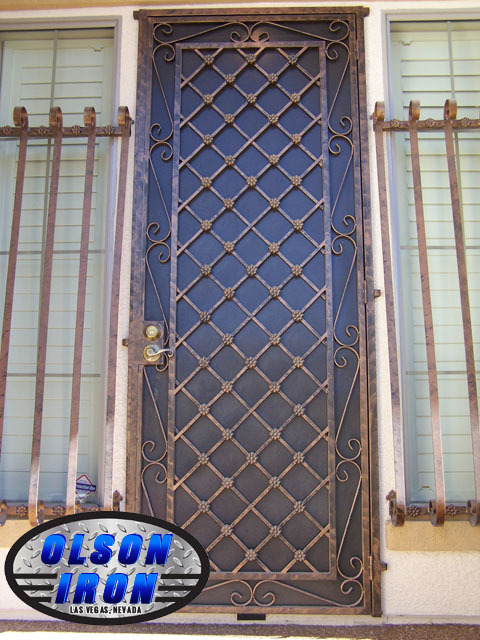 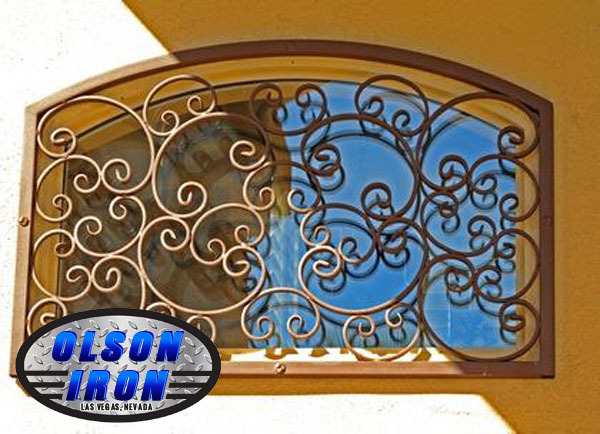 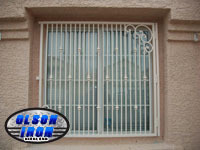 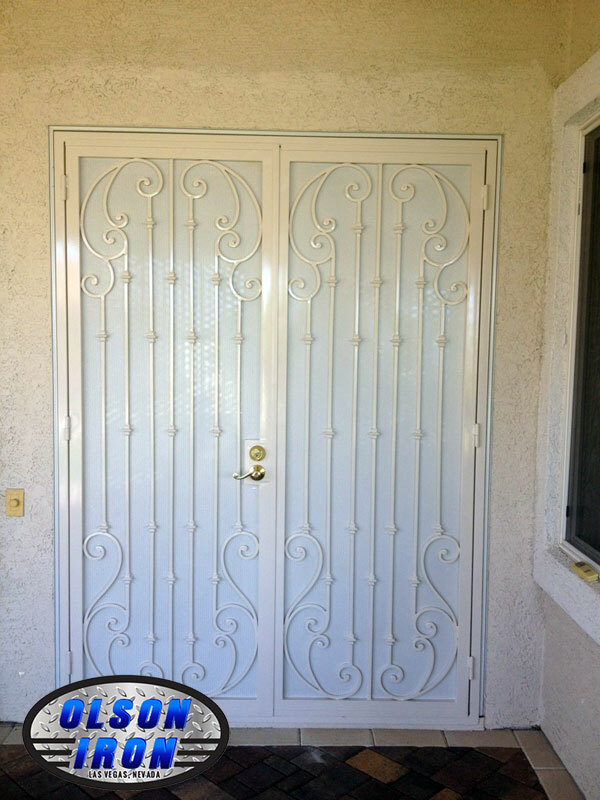 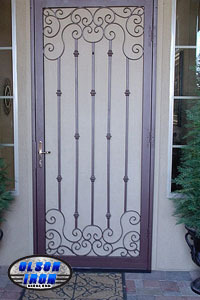 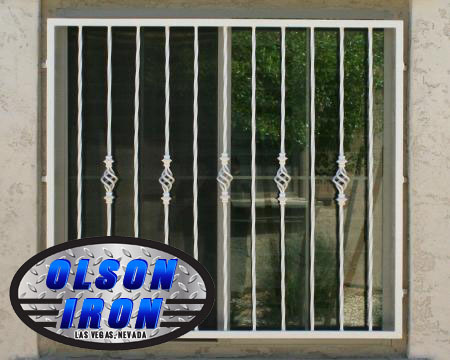 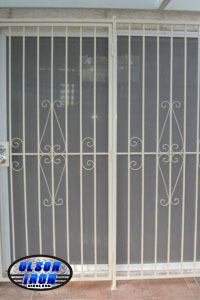 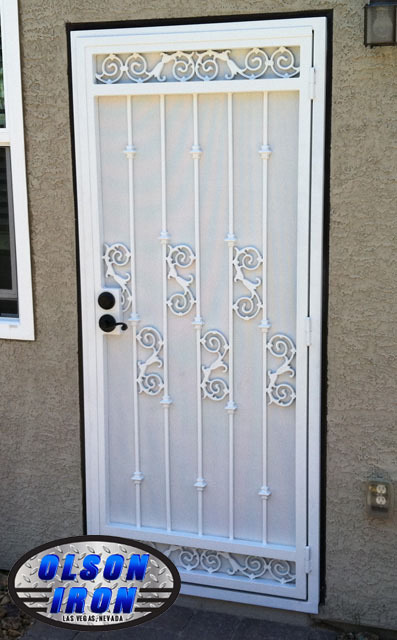 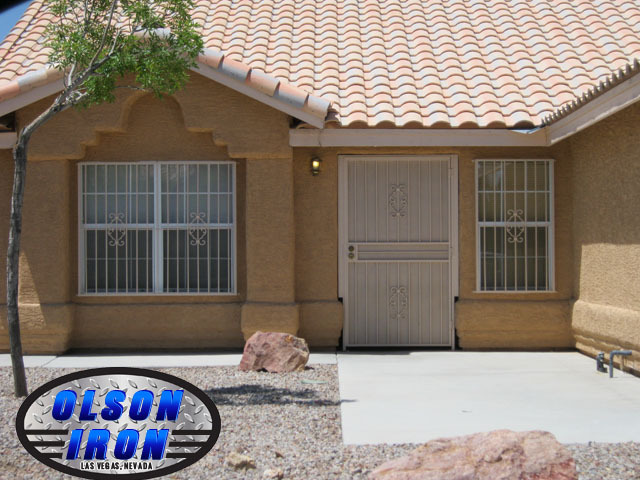 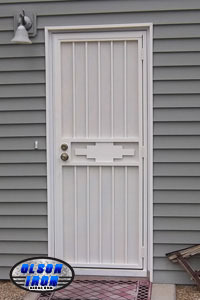 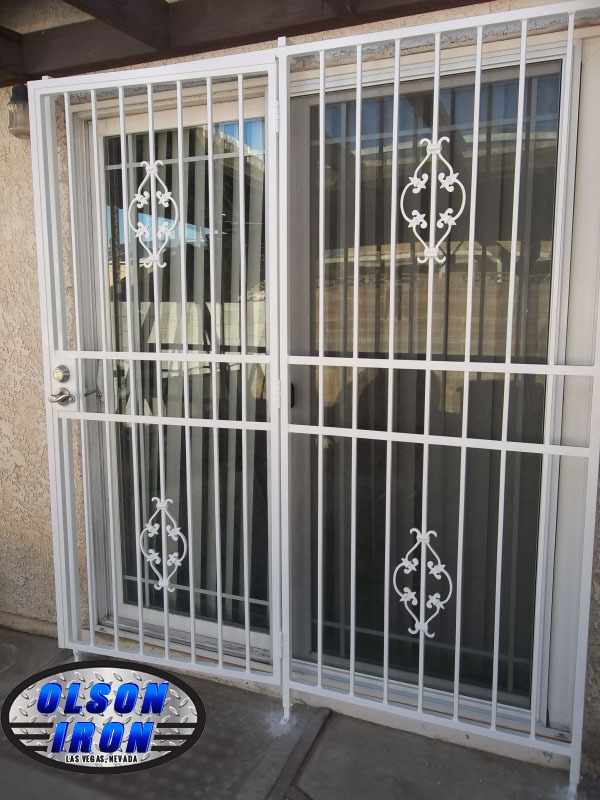 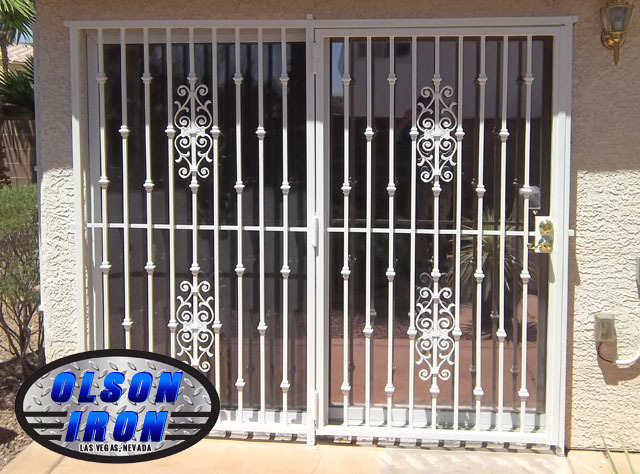 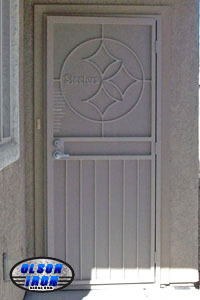 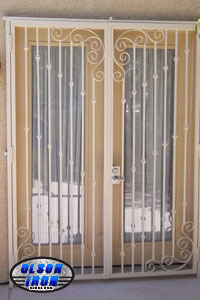 Therefore, we offer the timeless aesthetic beauty of Ornamental Iron, while Olson Security Doors assists in making your home a refuge. 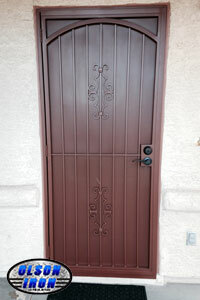 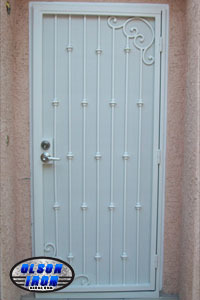 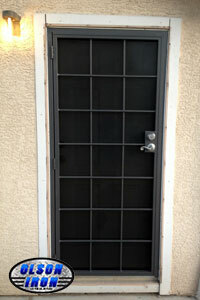 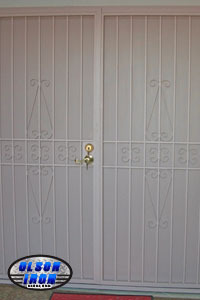 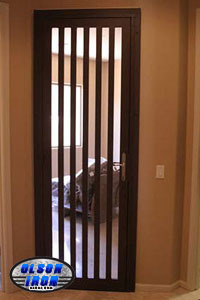 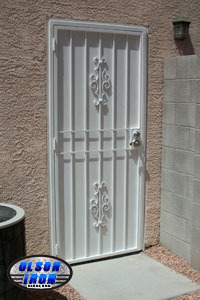 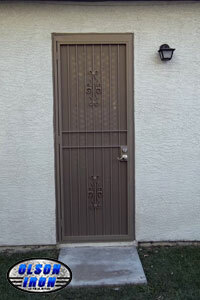 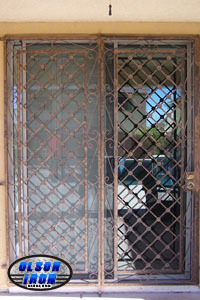 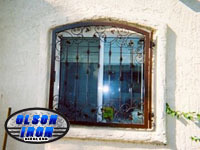 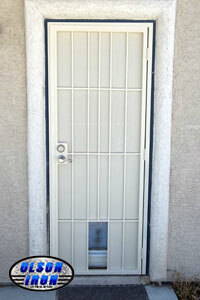 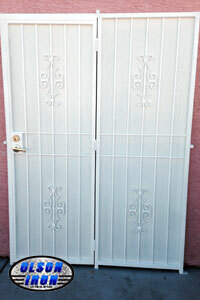 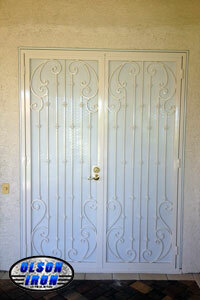 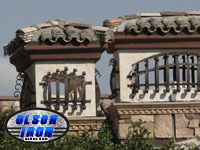 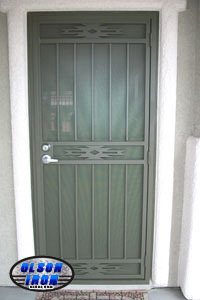 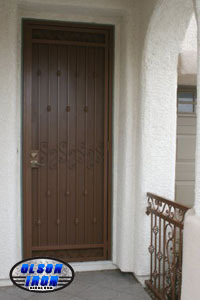 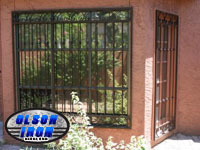 Your investment deserves preservation and you deserve peace of mind! 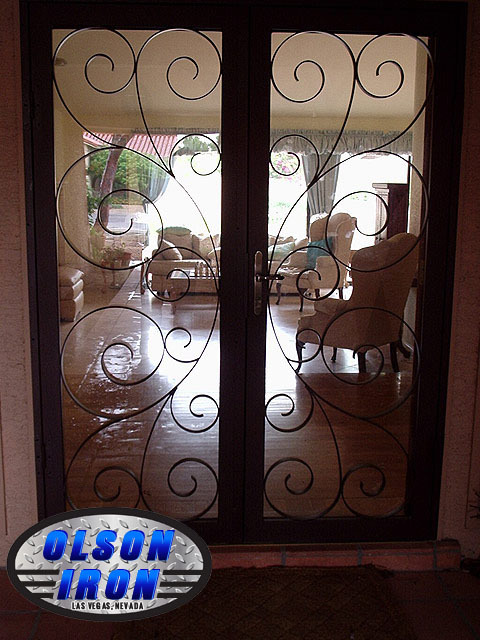 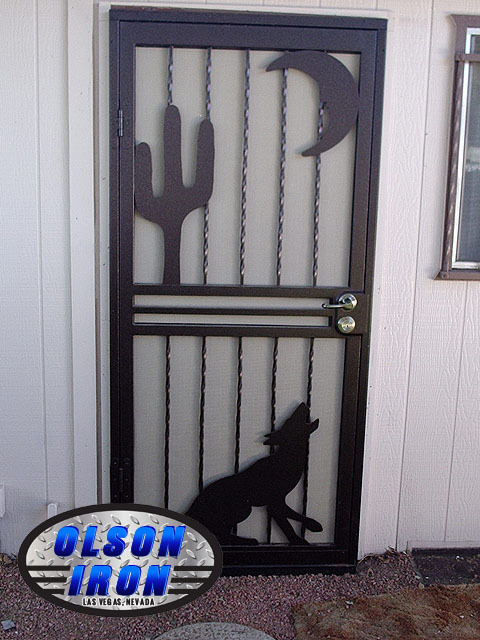 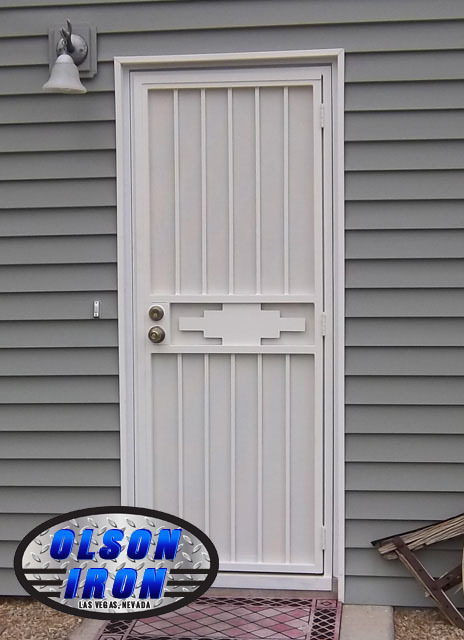 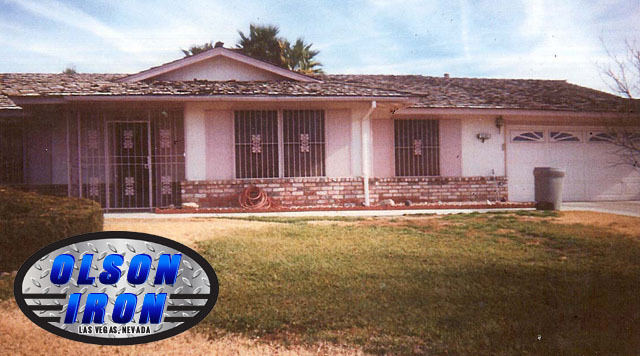 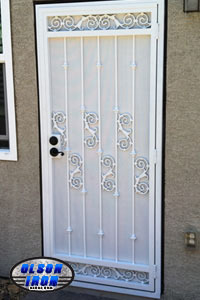 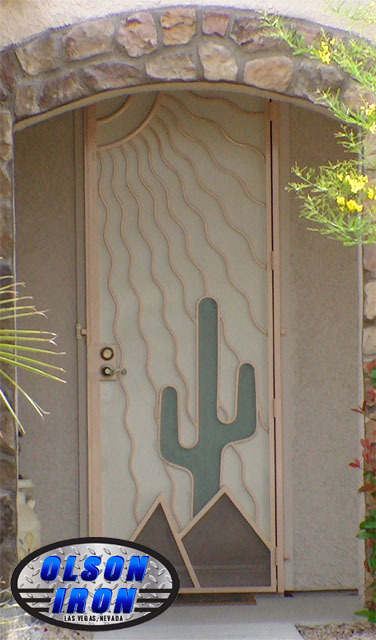 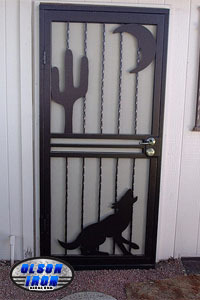 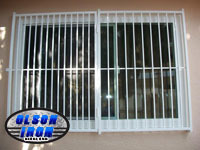 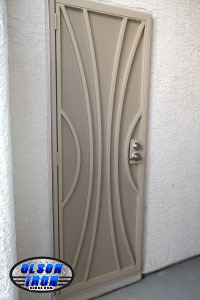 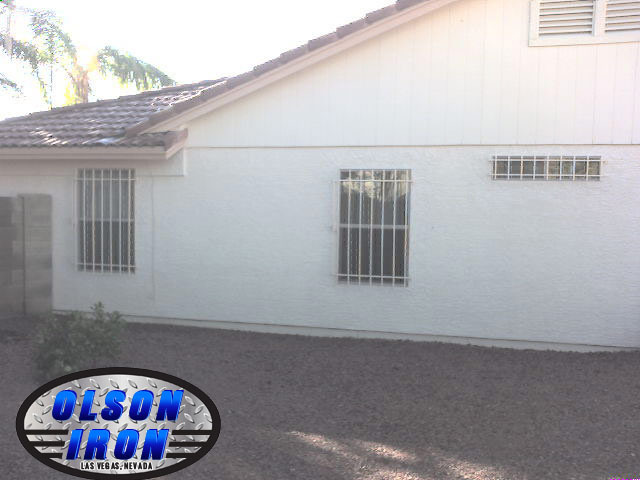 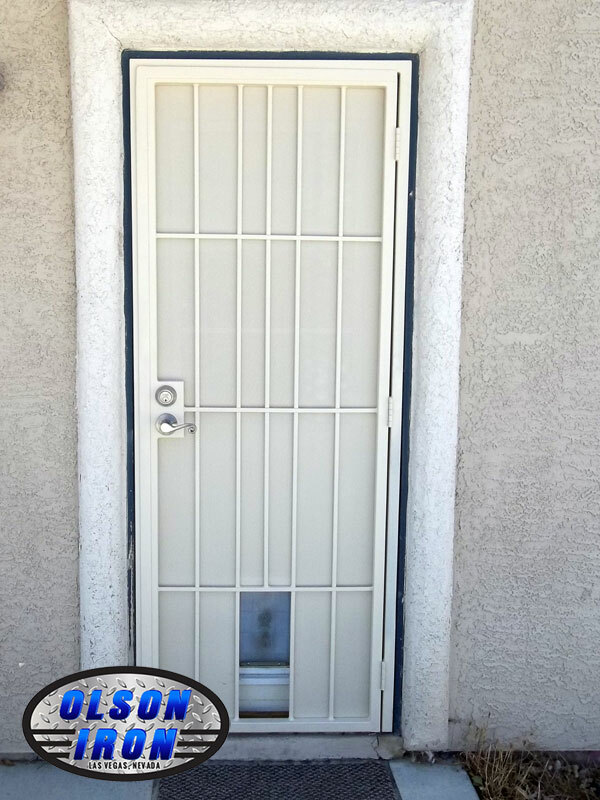 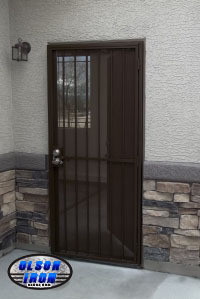 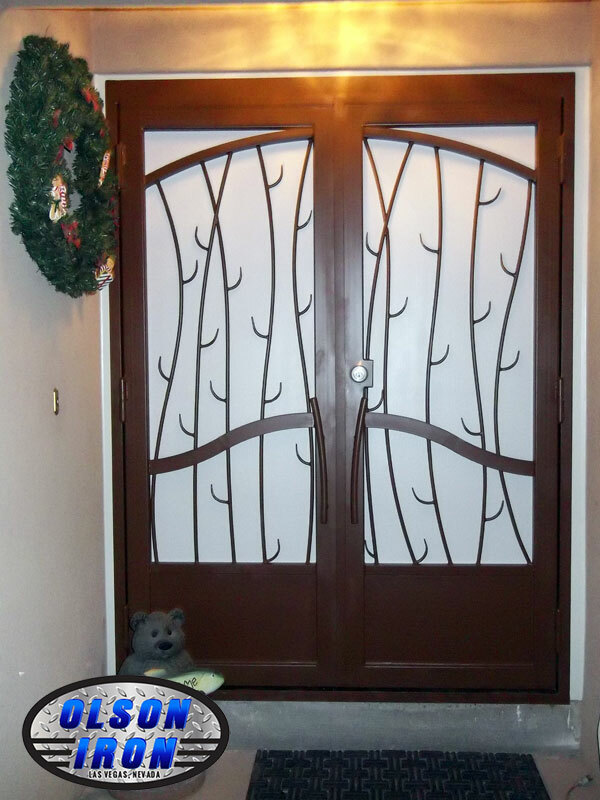 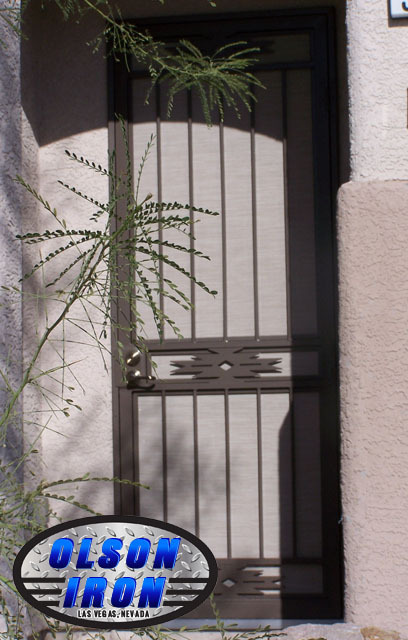 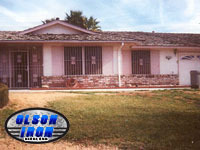 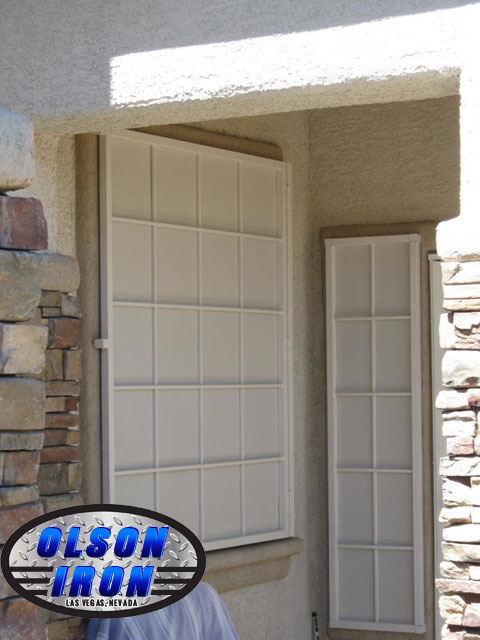 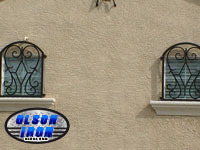 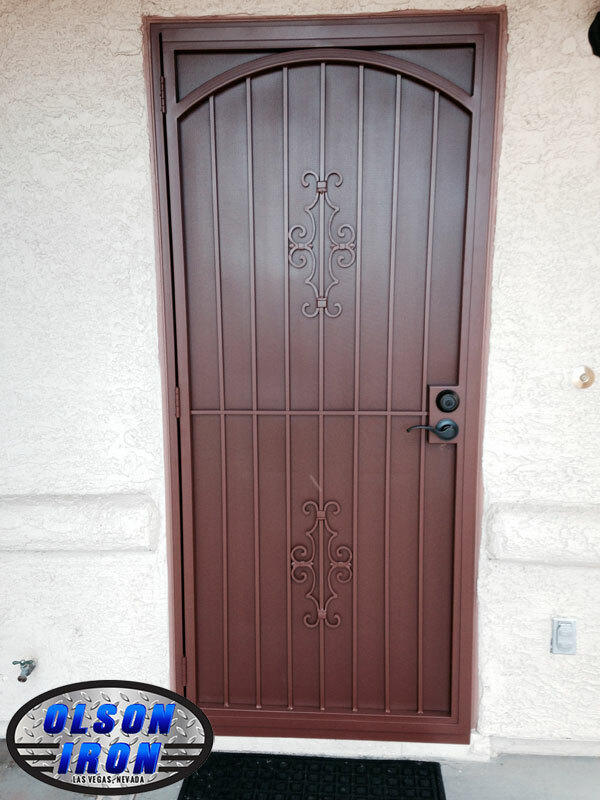 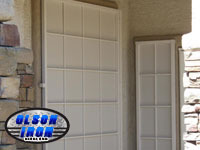 With our artistic Olson Security Doors and Security Window Guards, you can relax knowing you've taken the measures to protect your home and the one's you love. 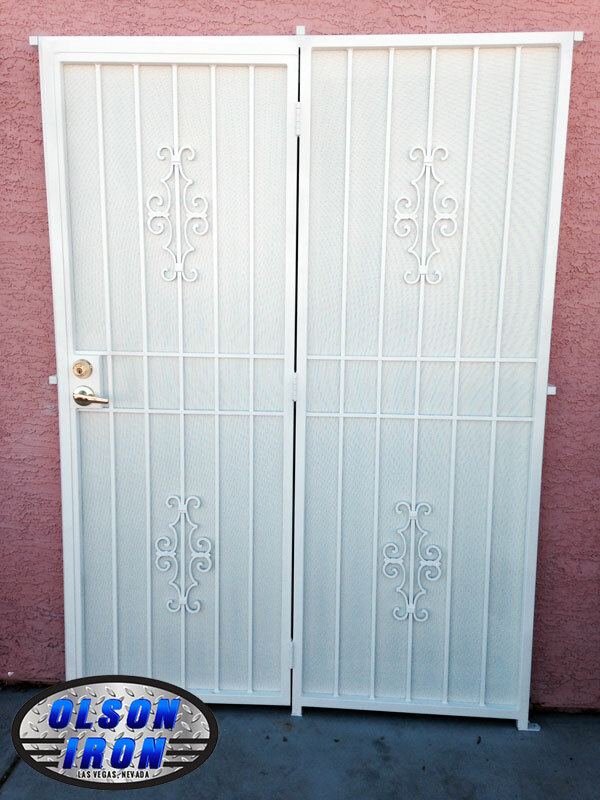 On a budget. 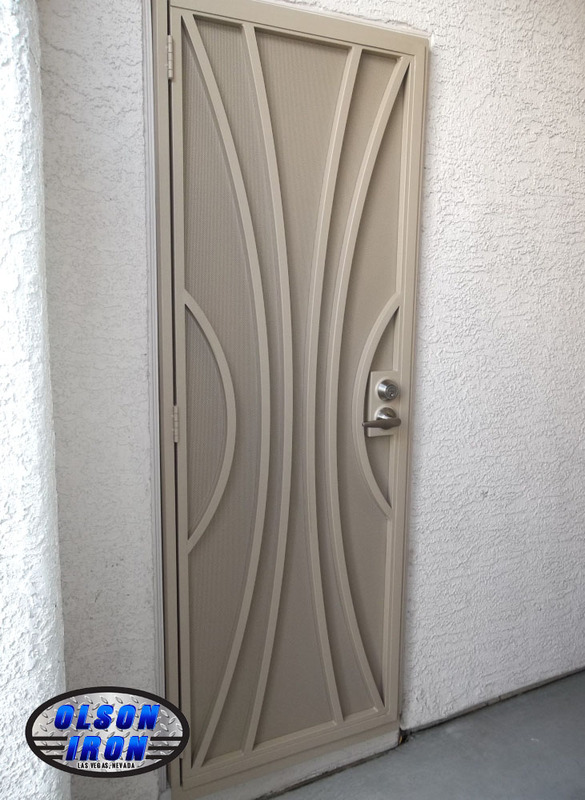 . . or not? 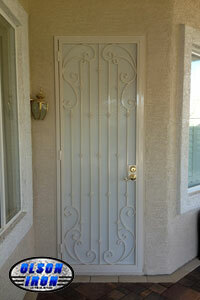 We can meet your need and exceed your expectations. 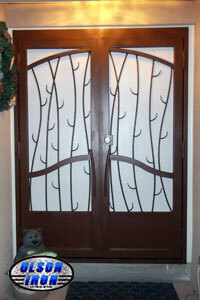 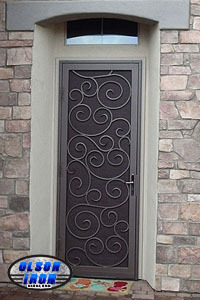 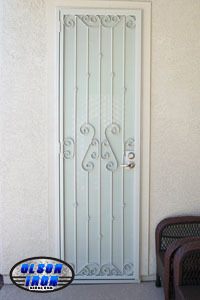 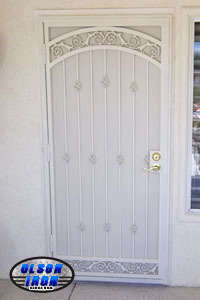 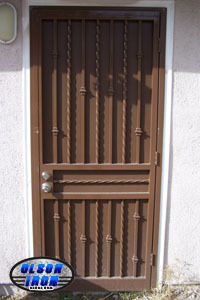 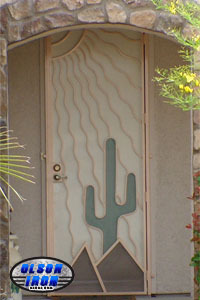 . .
= Value designs are moderately ornamental with sensible cost. 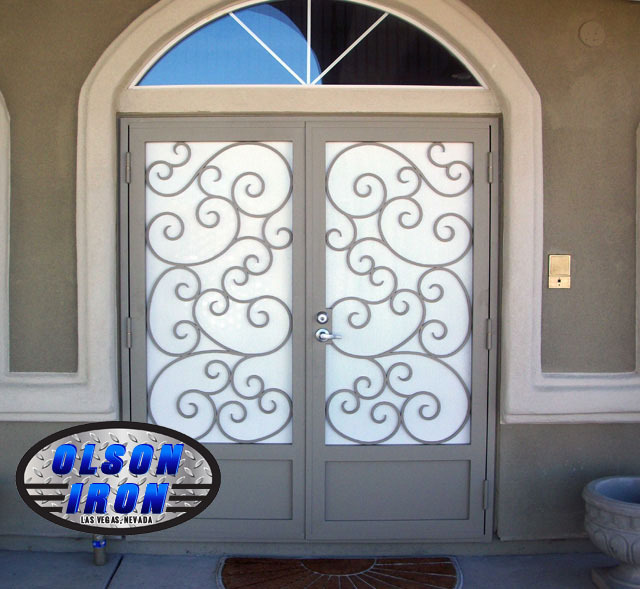 If you don't see exactly what your looking for, give us a call and we'll be happy to come to your location and design something for you!